Singer, composer and entertainer Paul Bonn has been electrifying audiences for more than fifty years throughout the Midwest. The Bluesmen feature some of the finest players from the St. Louis area, with decades of experience performing throughout the world. Paul Bonn & The Bluesmen feature Paul on vocals, harmonica, and percussion, John Higgerson on lead guitar, Robert Lloyd on bass, and Derek Bonn on drums. Their material includes traditional blues, soul, R&B and Cajun covers and originals. The band plays on a regular basis at Hammerstone’s (located in the St. Louis historic Soulard district). 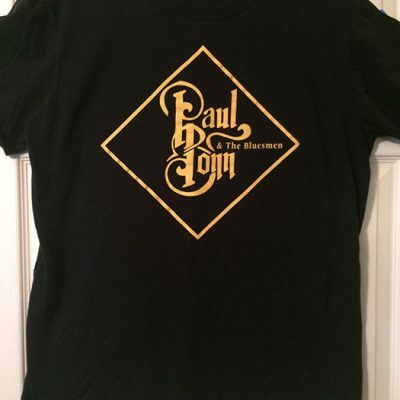 Since the successful release of Paul’s “50 Years” cd in January 2017, the group has been charging forward full throttle, touring the Midwest and constantly performing around St. Louis. A brutally humid 2005 STL summer’s eve, and Paul Bonn sings with The Hard Tale Blues Band at Beale On Broadway. The air is so stifling, Bonn’s glasses keep fogging up. I’d never seen him before, but there he is in all his glory, shaking maracas and shimmying hypnotically into the crowd. The song ‘The Tiki Bar Is Open’ is classic John Hiatt, yet, Paul’s voice churns a rhythmic original. The crowd’s spirit lifts as Bonn’s fogged, smiling gaze meets eyes. Emotionally oozing, the groove hits the soul. The music is stunning. Twelve years later, 50 YEARS of music have blossomed into a sweet celebration. 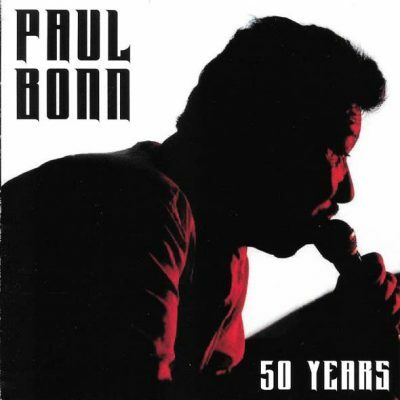 September 7th marked the start of Paul Bonn’s 50 YEARS Tour. Beginning at The Old Rock House, a full calendar of live shows are celebrating his first solo CD. 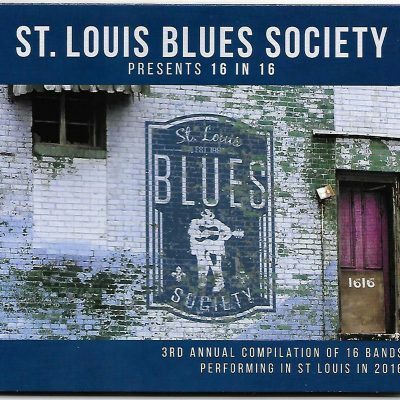 Primed with original blues & soul, 50 YEARS not only sports 13 songs penned over three decades, it showcases some of St. Louis’ finest blues musicians. Bonn himself hails from Illinois. Born and raised in Belleville, he’s lived in O’Fallon the past 37 years. With his gritty and soulful voice, you wouldn’t think his journey started in 1964 behind a drum kit, but that (combined with his passion for The Beatles) actually endeared him to a regional band named The Ash. There, he drummed with guys already receiving airplay on rock & roll powerhouse K-SHE 95. But alas, where did he catch the blues? Turns out, it was all around him. Bonn’s love for The Beatles was step one. Anyone who’s followed the group knows about their deep respect for American blues and R&B. Thanks to that, Albert and BB King soon grabbed Bonn’s ear. But when his future wife Kate caught his eye, she not only stole his heart, she made off with his soul. Or introduced him to her soul music collection, that is. And do it, he has. Though he’s performed in STL for decades, finding Paul Bonn on record is tricky business. It’s a treasure hunt well worth taking though. Bonn’s voice has fronted the likes of Shakey Ground, Los Carnales and The Bar Room Troubadours. 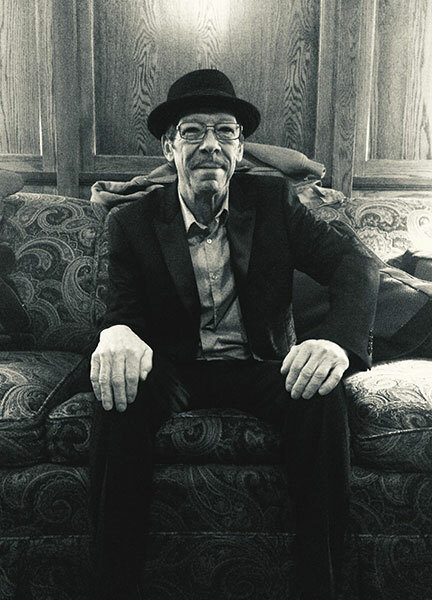 The talent on those recordings are both ear and eye opening: former Fabulous Thunderbirds bass guru Preston Hubbard; blues harp legend Arthur Williams; the masterful Roomful Of Blues horn section; blues guitar slingers Rich McDonough, Elliot Sowell and Ryan Waked; Soulard Blues Band tumpeter/vocalist Brian Casserely. 50 YEARS takes that to an all new level. Right from the go, Bonn’s deepest musical memories are sparked. ‘East Side House Party’, a ruffling shuffle featuring Soulard Blues Band founder Art Dwyer on bass and Big George Brock’s fireplug Matthew Lesch on guitar, reworks the ‘juke like’ atmosphere of the young Bonn household. Back then, his mother Shirley played non-stop piano. Neighboring friends and strangers were welcomed with open arms. Likewise, the CD’s last track is none other than mama Bonn herself. Using a years old home recording of her playing Louis Armstrong’s ‘What A Wonderful World’, Paul voiced-over his vocals as a tribute to not only her, but his father Hap Bonn. Turns out it was his dad’s favorite song. But sentiment aside, the meat and potatoes of 50 YEARS is a smorgasbord of rhythm and blues. The stylistic range shines. For example, Bonn uses Brian Curran’s intricate slide to lay out a bluesy Mississippi Fred McDowell like take on the gospel ‘You Gotta Move’. Yet, dance shoes really start moving a little later. Anchored by Bonn’s touring core of John Higgerson on guitar (David Dee), son and producer Derek Bonn on drums (Jeff Chapman, Los Carnales) and Sharon Foehner’s wonderful bass (James Crutchfield, Bennie Smith, Tommy Bankhead, Rough Grooves), ‘Here It Comes Again’ is a titilating groove of positivity. Driven by the warmth and excitement of Foehner’s bass and Higgerson’s axe, their interplay might be the funkiest blues groove of 2017. And the fun still runs red lights from there. Songs like ‘Uncle Jim’s Wine’, ‘Hypnotized’ and ‘Centerville Boogie’ burst with juke joint frolic. But ‘Packin’ House Blues’ might hold the deepest merit. Having spent the better part of his life literally working the “killing floor’, Bonn and company grind a marching rhythm that wears down dance shoes just like he used to wear down his own working boots. And of extra special note, the Otis Rush styled ‘I Still Believe I Can’ not only carries the weight of personal aspiration, it’s graced by the great bass of STL blues legend Gus Thornton (Albert King, Marquise Knox, Kim Massie). 50 YEARS is truly a celebratory present. Bonn’s songwriting is strong, earning deep respect. So much respect in fact, it seems half of St. Louis’ blues talent came out to play with him. Among those I haven’t already mentioned are: Tom Slim Louis (bass), Jeff Sheehan (guitar), Frank Bauer (sax), Sal Ruelas (bass), Alice Monroe (background vocals), Matt Davis (keyboards), and Paul Niehaus IV with Jon Erblich (bass and harp respectively) on ‘Stop The Killin”, a featured track on the St. Louis Blues Society’s 16 IN 16 release. It’s hard to fathom that I first saw Paul Bonn sing twelve years ago. The exuberance and passion of that first night has aged both skillfully and gracefully. 50 YEARS is a pure testament to that growth. An absolute must listen, this is a St. Louis blues release of unique historical value. Great sounds await. Let’s just hope we don’t have to wait to year 100 for the next offering. Enjoy!! And don’t miss out on the live shows coming up! Please visit our Facebook Events Page. Go to your SHOPPING CART! 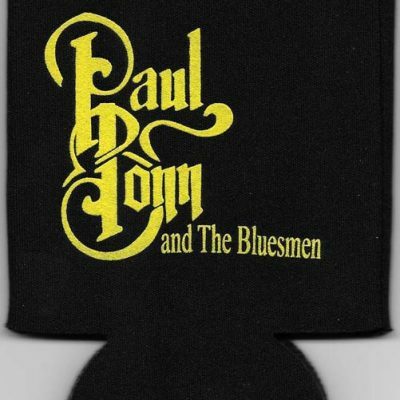 Club Owners and Press: Download our Paul Bonn & the Bluesmen PRESS PROMO KIT.